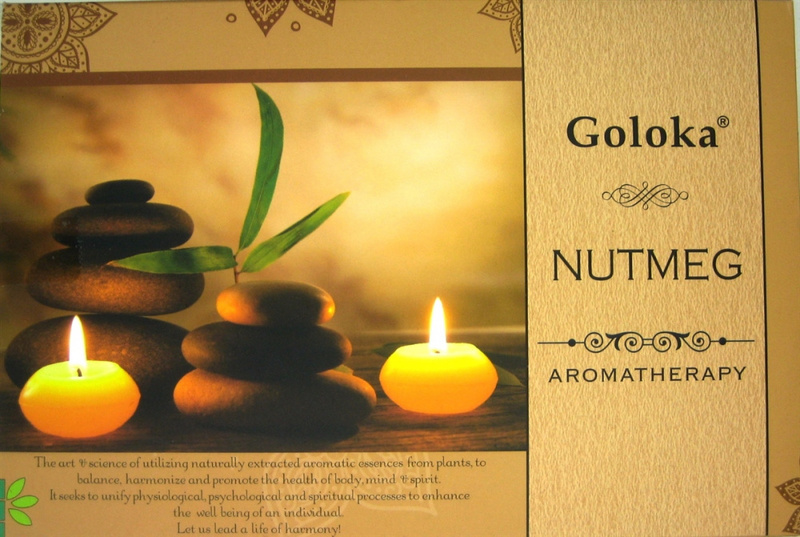 Goloka's aromatherapy brings you the warmth of nutmeg. A delicate warm and spicy fragrance. A real winter herb to warm you up and works soothing. 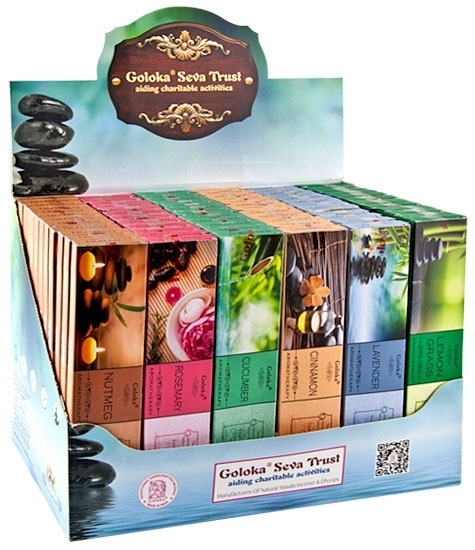 Eco-friendly packaging and made from all natural ingredients. 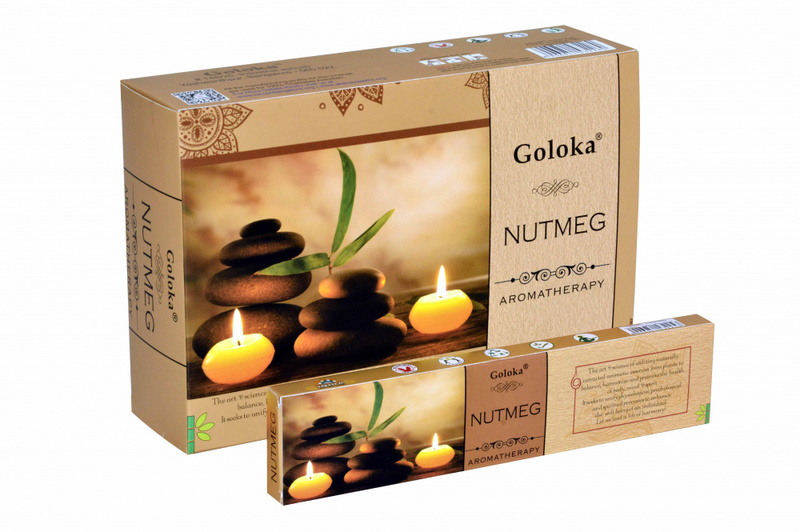 Botanical Name: Myristica Fragrans, The Nutmeg in aroma therapy is used for its ability to treat stress, pain, The health benefits of nutmeg oil can be attributed to its medicinal properties such as its role as sedative, stimulant, relaxing, anti-inflammatory, antiseptic, and bactericidal substance. Traditionally, nutmeg was believed to be effective against the plaque and hence it was popular during the Elizabethan era. 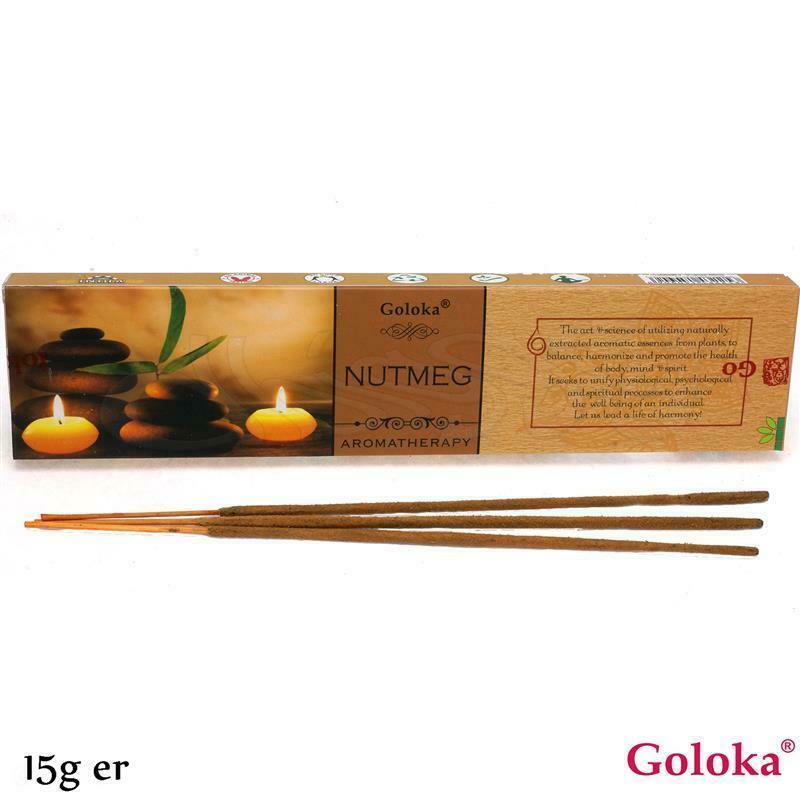 High quality Goloka Nutmeg Aromatherapy Incense sticks are handmade by artisans who roll them individually using natural, organic and sustainable materials.